The pones are being synched again. Lots of lips moving to music in this one. Giant... horse lips. Ah, Fraiser! Such a good show. I'd recommend any of you looking for a show to watch to check it out on Netflix, I know I really enjoyed it. 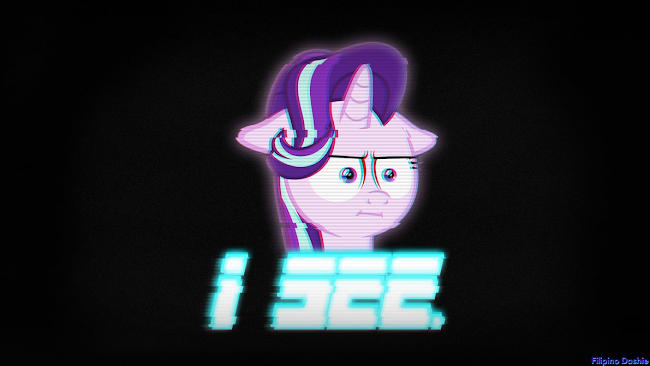 Anyhow, back to ponies! Let's get to chatting! These posts have become way too rare in my expert opinion. I suggest sending far more wallpapers in the future for the sake of giving us things to post! I guess they are kinda obsolete when they have a solar empress lording over the land. Comic time! Click for full and stuff. The deadly Pegasus sniper. Terror of the skies. Unfortunately, she only looks scary, cause her hooves are too big to pull the trigger with any kind of accuracy. EM120X and SDreamExplorerS teaming up for collaboration is always cool to see, as it tends to end up with a super cool combination of EM's house-y electronic style with DreamExplorer's wicked metal abilities. 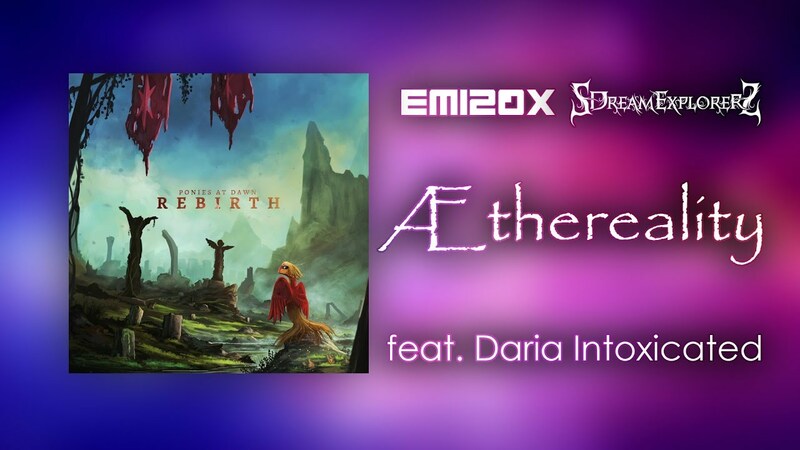 This is definitely true here, with a great hybrid piece that has some fun melodies, an awesome guitar breakdown, and vocals both male and female provided by DreamExplorer and Daria Intoxicated respectively. Check it out below! No new comic this week but instead there's a topic that's been making its way around the net. There has been an assertion that non-comedy action is not successful in today's television market. Is the era of action-based cartoons at an end? And how does this reflect upon the show we enjoy, even if it's not labeled as an action show? Catch the full editorial after the break! We haven't posted anything like this in a while and don't have much else for the early morning, so why not! 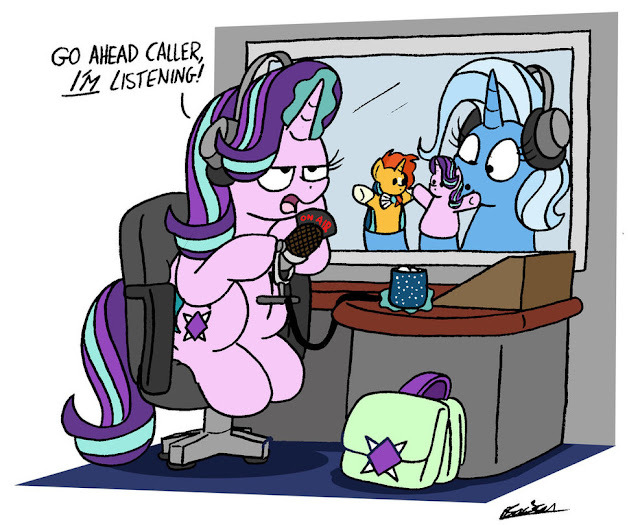 Who wants some censored episodes? They are fun in a "everyone in a room drunk laughing about ridiculous youtube videos" sort of way. 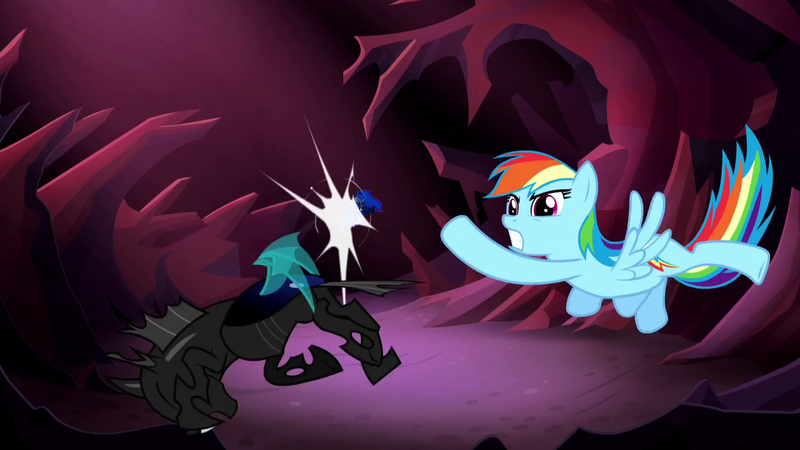 It’s hard to be a changeling spy trying to restore Queen Chrysalis to Her rightful place. As if living in deep cover wasn’t stressful enough, a secret agent never knows what assignment the Hive-in-Exile Command will issue next. Some days are spent on lowly errands like following ponies of interest. Some days call for quick thinking and risky gambits. Some days threaten to be an agent’s last day of freedom. And some days Agent Myrmarachne is just trying to get a job at the Las Pegasus Airfield. With Amazon stocking the Equestria Girls Mini beach set earlier this week along with a few odd stores around the USA, it looks like this flood is nearing its full release. 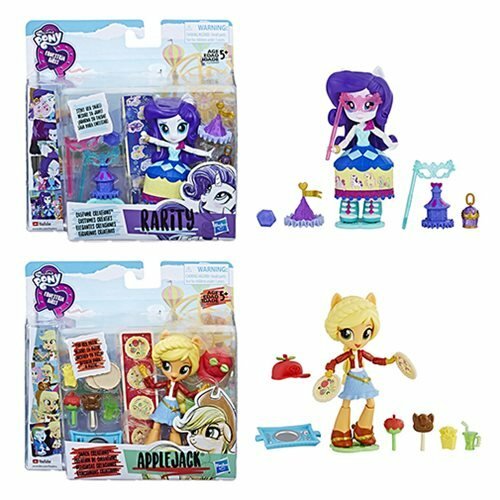 We now have the Applejack and Rarity figures up above appearing on both Amazon and Entertainment Earth. Unfortunately only Amazon has them in stock right now with a scalper from Pigglytoyville doing the selling, but they are pre-orderable over on Entertainment Earth. Thanks to Magic for the heads up. 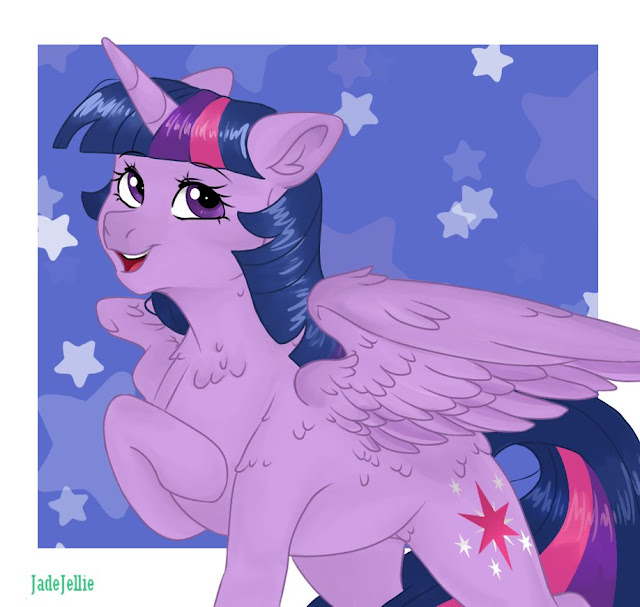 Kind of looks like the feathers are spreading in this pic of Twi. I wonder if she's going to become a full bird next?